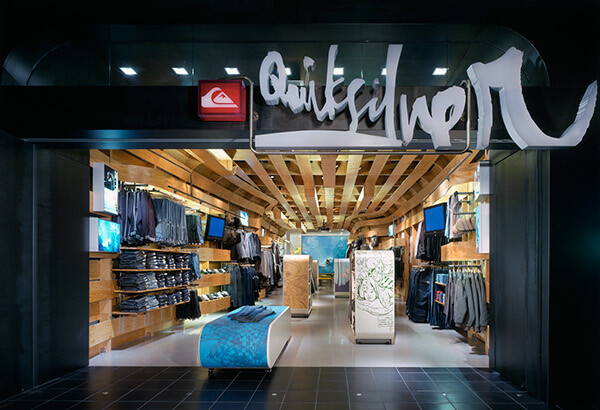 The highly successful California-lifestyle brand, Quiksilver, selected Clive Wilkinson Architects to design a Young Men’s retail store for their Costa Mesa location, in which the brand would be defined in a no-nonsense way. Designed as an undulating wooden tunnel, swelling surfaces create a variety of display areas providing shelving and integrated lighting. Where the form of the rolling walls and ceilings refer to the surfer on the ocean waves, the materialization evokes the environment of surfing on the land: skateboarding. 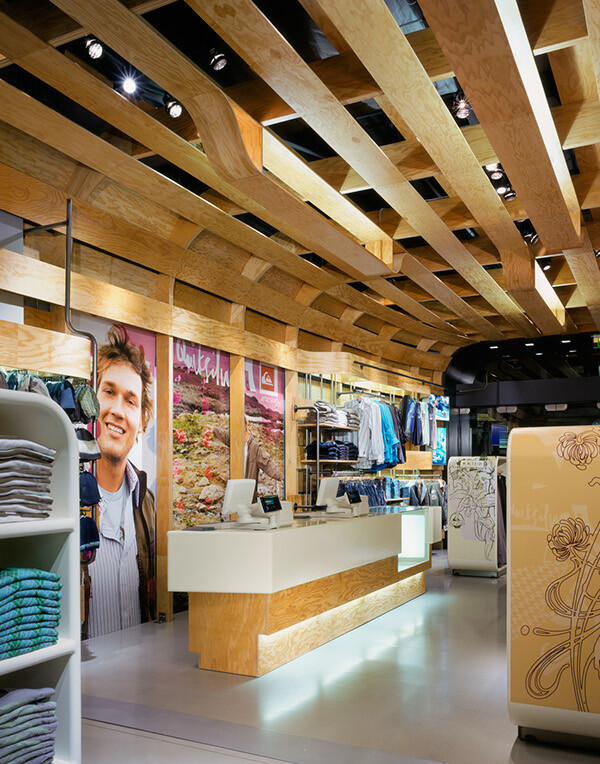 Walls continuing into ceilings guarantee an always visible wood structure in an intensively merchandised store. 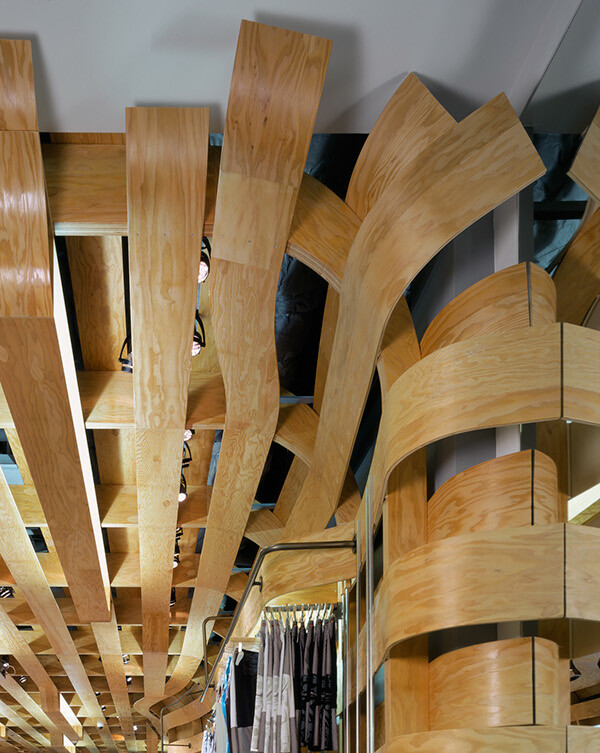 This wooden wave culminates in a full size video projection wall drawing customers in from afar as there is ‘no entrance’: the entire storefront disappears into the wall during opening hours.